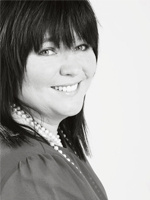 Rebecca is founder and managing director of Howland Jones residential lettings and sales and has over 17 years of experience in the lettings industry. More recently, Rebecca and husband Jon have successfully created a residential sales side to the business, selling investment properties for existing clients as well as properties for new sales clients. Rebecca ensures the company continually strives to achieve excellence across every discipline; with a client satisfaction orientated background, delivering remarkable service is always close to her heart. "My passion for Italian cooking is generally appreciated by my husband, son and daughter, although honesty always pays. In my "spare time" I play a number of instruments including the piano, cello and flute. Maybe I'll make it onto BGT yet. Other than that, I spend time with my adorable dog Brian (who you'll usually meet if you come to our offices), cat and four hens. Fresh eggs make amazing pasta!"